With the start of 2019 came the popular KonMari trend by the ever-organized Marie Kondo. My social media feed was filled with photos of friends tidying up their homes. I loved how their spaces looked. It really does spark joy to see so many things put away all organized and neat. It inspired me, and I wanted to try it. So I decided to reorganize my closets and pantry. I ventured out to a big box store and was discouraged that the boxes and baskets needed to create this beautiful space were way out of my price range. Never one to be painted in a corner by price, I ventured to my local Deseret Industries to see if I could find anything that would work. I had high standards—it all needed to match. 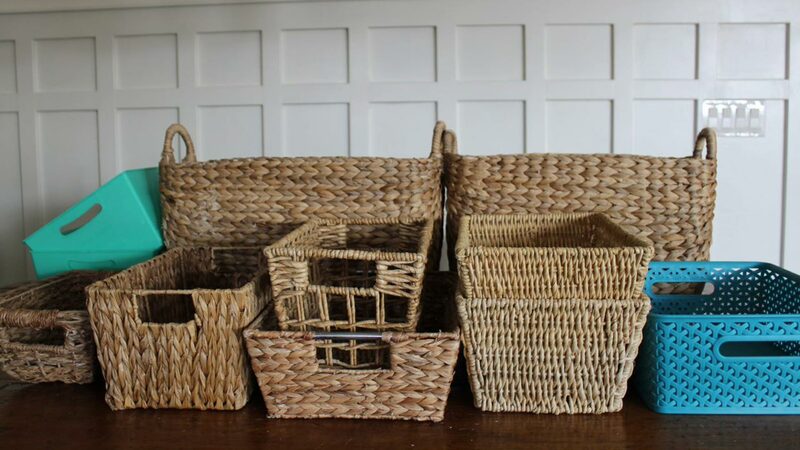 You can never really predict what DI will have on the shelves, but I lucked out with some reed baskets and canvas totes. I decided that these types of containers would be a staple for my reorg. It took a few weeks and multiple shopping trips to collect the right amount of coordinating totes, but I did it! I am so happy with my new spaces, and I’m excited to keep working my way through the house. And the best part was that I spent less than $50 to do it! 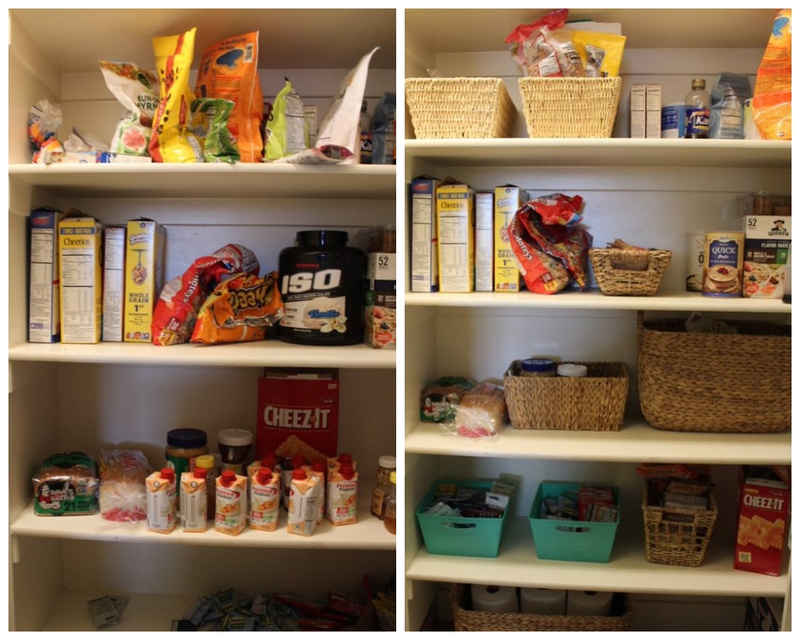 The image on the left shows my pantry before, and the image on the right showcases my new and reorganized shelves! Identify the type of container you want and look for that style. You can pick canvas totes, reed baskets, plastic bins, metal boxes—really anything! They don’t have to match exactly either, but if you choose the general look and feel for your reorganization, then your eyes will find what you’re looking for. Trust me. Be patient. You don’t need to have all the containers right away. While it can help, it really isn’t worth the hundreds of dollars. Get rid of extra stuff and donate it on your trips to gather organizing supplies. I think karma is real; when you donate, you find stuff you need. It’s just that simple. Angela King is a social media producer and Deseret Industries fan. Her most recent DI purchase? A juicer in excellent condition that she snagged for $40. When she’s not drinking homemade juice or hunting through the yard area, she can be found performing improv comedy or watching the latest-and-greatest on Netflix.